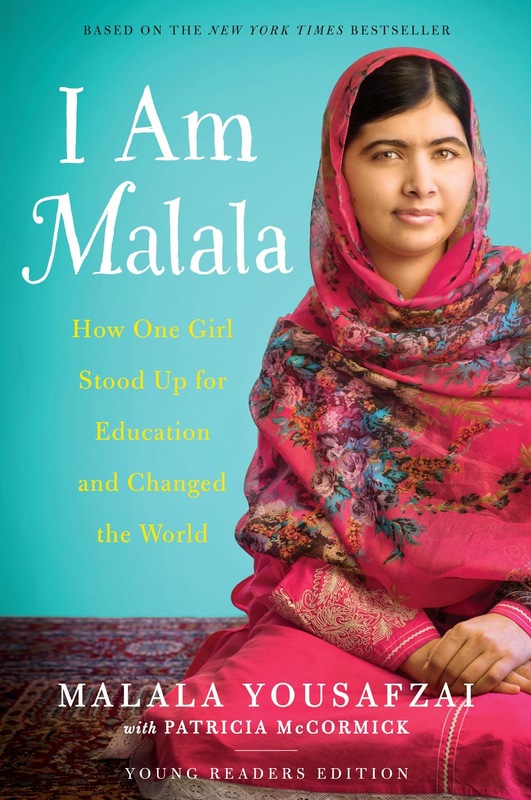 I Am Malala is not only a good book, but an enjoyable, intelligent and affecting one as well, highly recommended for all readers (but especially grades 5+). To read the full review, head over to BookPal. And now... I’m hosting a giveaway of the book! To enter, simply fill out the FORM. For one extra entry, read my review at BookPal and let me know that you did so in the comments here. Giveaway open internationally, will end on November 18, 2014 at 11:59pm EST. Winner will be notified via email. Good luck! Fine print: I am hosting the giveaway, and I did not receive any compensation for this post. The folks at First Second (Macmillan) have found a gem in author/illustrator Ben Hatke. I read his graphic novels in the Zita the Spacegirl series this summer and enjoyed their energy, intergalactic travel and art immensely. I was very interested in seeing his first picture book, Julia's House for Lost Creatures, and can I just say… it does not disappoint. I’ll be picking up everything Hatke creates from here on out. Julia is a resourceful girl. When she and her house set up shop by the sea, she realizes that it is too quiet. She makes a sign and waits… and soon finds a new group of friends with which to share her house. The magic of friendship might be strained by mess and bother, but Julia knows how to fix this problem too… and in the end, peace (if you want to call it that) is restored. 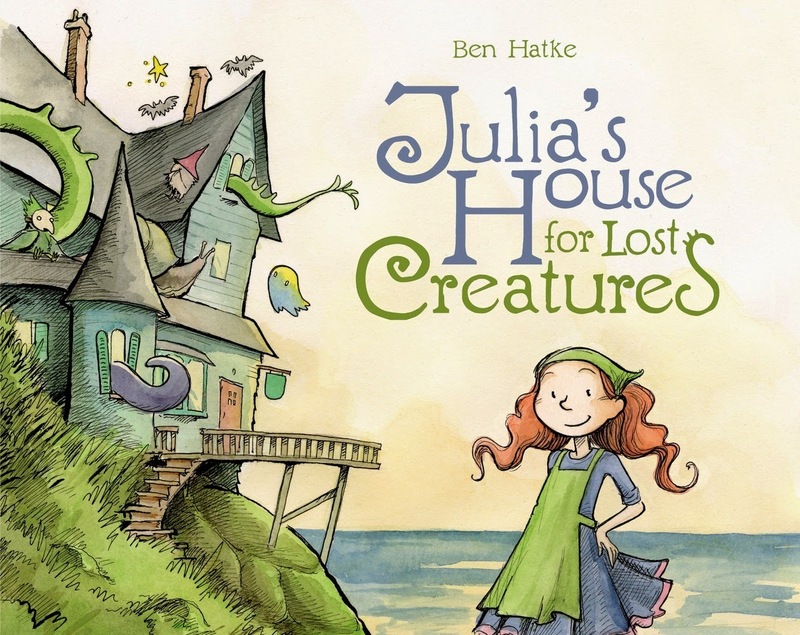 While the text of Julia’s House for Lost Creatures is quite brief, it is still funny, charming, fantastical and sweet. It also tells a short story, but the ending leaves the door half open for imagination. Children and adults alike may find themselves wondering “What happens next?” and the beauty of it is that Hatke introduced so many varied characters in the space of a short book that anything is possible (and very likely probable). And after all, what is better than a book that can carry you away in a daydream? The art is really the thing about this book, and it is just adorable. I really don’t know another, more refined way to put that. There are the main things: Julia running to and fro making signs and answering the door, the lost creatures themselves, the house! by the sea, and then there are also the unexpected details and lovely watercolor washes and the sense of a whole world that anyone could invite inside. I used the word charming before, and that’s really the sense of the whole book: it’s delightful and whimsical, and it should (with any luck) make the reader’s heart happy. Recommended for: fans of picture books (especially those enthralled by inventive art and fantastical themes), and anyone who liked Levi Pinfold’s Black Dog.